Don't pick up that paintbrush without thinking about these seven things. 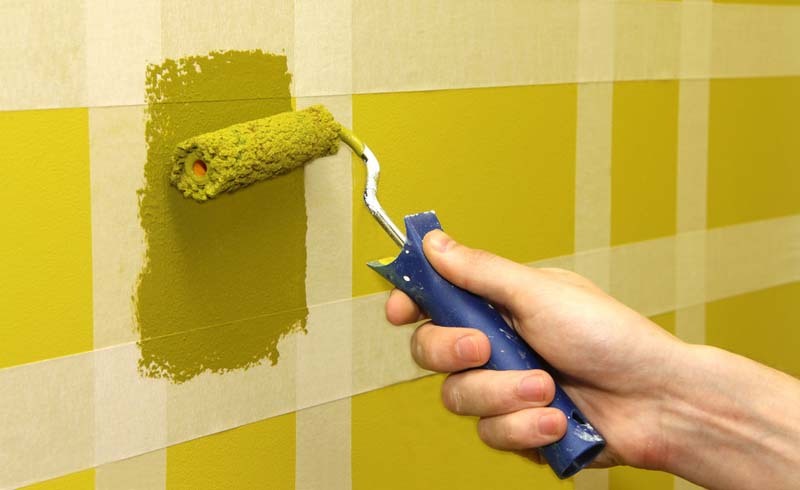 If you're planning to refresh the paint in your living room or want to swipe on a new hue in your kitchen, you may be thinking about tackling the project yourself. But before you pull on some overalls and pick up a paintbrush, you should consider the seven things below. Things like the height of your ceilings, the state of your walls, and your own safety should be big deciding factors when you're debating whether to DIY a paint project or hire a professional. And if you're planning to DIY the project in hopes of saving some money, there are some potential hidden costs to weigh when you tackle the job yourself. 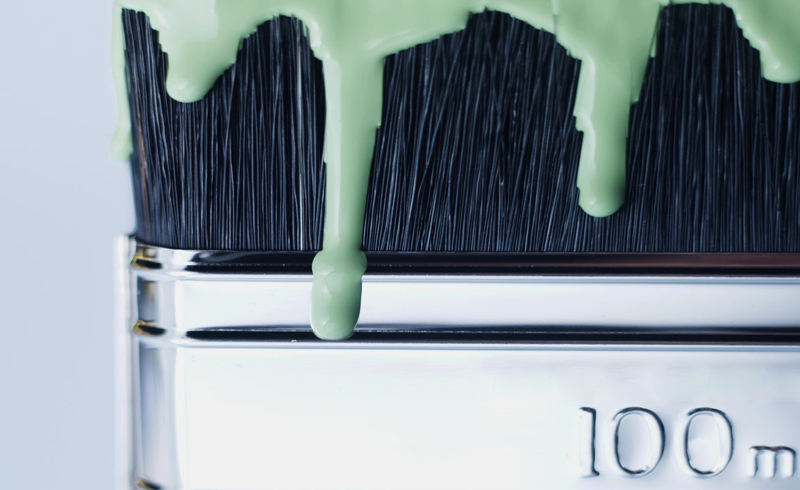 Even before you pick out the perfect paint color, take a look at the list below to help you decide whether or not to call in the pros. One thing people often overlook before they embark on a DIY paint project is the current condition of their walls. If you live in a new home with perfectly smooth walls and few nicks, painting your master bath could be a relatively easy project. But if you're in an older home that has crumbling plaster and layer after layer of paint, the work of removing the old paint and spackling could turn an otherwise easy project into one better left to the pros. Of course, this is a judgment call that should be based on your level of experience and how much time and work you're willing to put in. But as a general rule: If you're not sure whether you'll be able to achieve a smooth finish, it's time to call a professional painter. Another thing people forget to talk about when it comes to painting a room is that it's actually a lot of physical labor! You'll likely need to climb up and down a ladder, wield a roller for several hours, and crouch down or stretch up to paint every inch of the molding and trim. If you have back problems, it could be worth it to outsource this project and save yourself the pain. It may sound obvious, but your painting skills will ultimately determine whether you achieve results your happy with. The hard part can be admitting to yourself that it would be worth paying a little more for a pro in order to be satisfied with your freshly painted dining room. Some people attempt to DIY this project, but end up spending even more money when they're unhappy with the results and decide to call in a professional. It's a frustrating experience to paint halfway up the wall, only to realize you don't have a tall enough ladder to reach the top. So before you start painting, it's a good idea to measure your ceilings and take a look at the ladders you might need for the project. If you're tall and have eight-foot ceilings, a small step ladder should do the trick, but if you have high ceilings, you may need to invest in a taller ladder. Again, consider your own safety before deciding to paint your cathedral ceilings all on your own. Pro painters have years of experience painting at the top of a ladder—a feat that's risky for the average homeowner. If you do decide to DIY the project, it's a smart idea to ask a family member or friend to help hold the ladder. In addition to the cost of a painting project, you'll want to factor time into the equation as well. Painting your entire house yourself could save you $1,500, but it could cost you several weekends worth of time. Be sure to factor in the value of the time you'd otherwise be spending with family or on a hobby you love. Research has shown that outsourcing time-consuming chores can actually make people happier, so weigh whether the time investment is worth it to you or not. Alternatively, consider turning the painting project into a communal activity by recruiting family or friends to help out. Painting an entire room or house is a task that's best reserved for when you have large chunks of time to devote to it. For example, if you only have half-hour windows of time available, it will be almost impossible to paint an entire room with a seamless finish, and it may become obvious where you started and stopped the project. If you can't dedicate a full day or at least several consecutive hours to the project, it may be better to hire a pro for the job. Whether you're painting your kitchen or your entire house, you're probably going to need more tarps, towels, and floor covers than you think. For an amateur painter, painting neatly is often a challenge, and you're more likely to accidentally get paint splatters on the furniture you were too lazy to move out of the room or on the corner of the floor you failed to cover with tarp. Most pro painters have enough experience to know how to avoid the spills, drips, and splatters that happen when painting a room. Plus, they'll do the work to move furniture and supply all of the necessary tarps and covers.